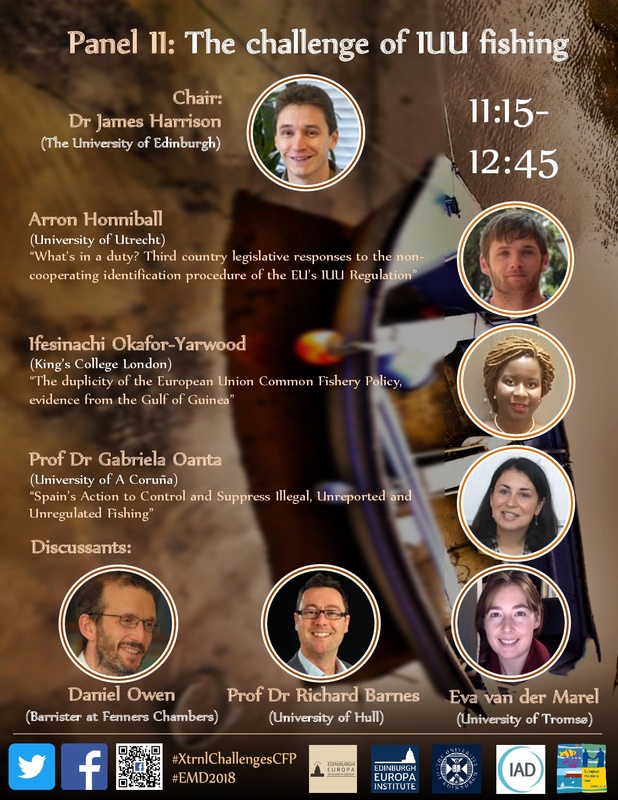 The Edinburgh Europa Research Group hosted a symposium on External Challenges for the Common Fisheries Policy on 11 May 2018. 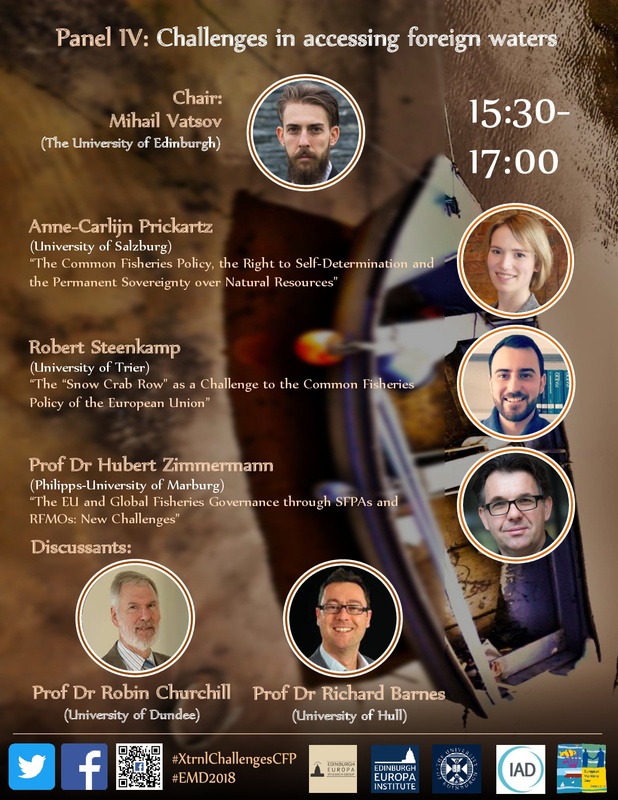 The symposium will be joined by Eva van der Marel as a third discussant of the IUU Panel and Prof Volterra will not manage to attend, instead his co-author, Emmanuel will present their paper. 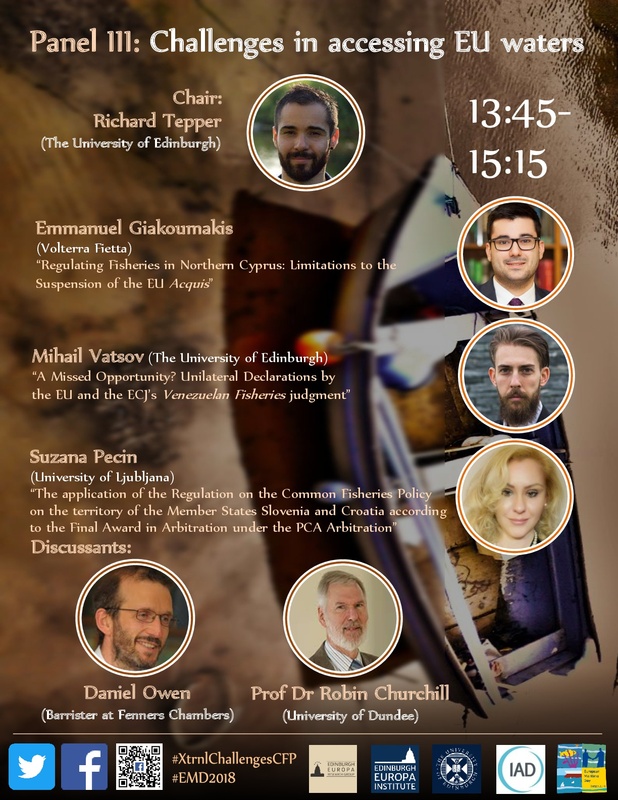 Finally, Dr Eva Kassoti will not be able to attend and her co-author, Mihail, will present their paper. 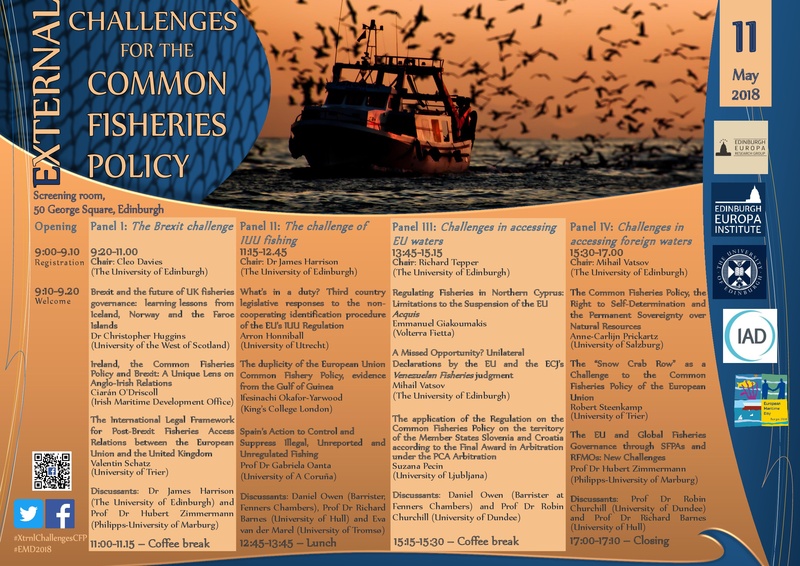 The Edinburgh Europa Research Group is proud to announce that it will host a symposium on External Challenges for the Common Fisheries Policy on 11 May 2018 at the University of Edinburgh. 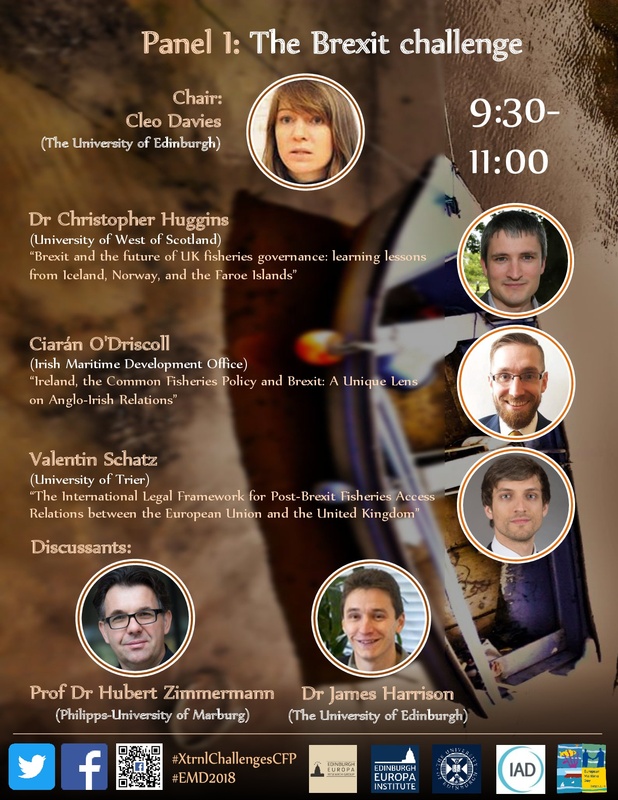 The symposium will include both (early career and established) scholars and practitioners and will seek to provide the broadest range of insights into the important issues to be discussed. The Common Fisheries Policy (CFP) is one of the major policies of the EU. Yet it undeservedly receives comparatively little attention in the academic literature. The same applies to many, albeit not all (e.g. Fisheries access agreements and practice in Regional Fisheries Management Organisations), aspects of its external dimension . The EU is a major international actor in the area of fisheries. It has the largest seafood market in the world and vessels flying its flag fish all around the world. As such, the EU’s interests in the area of fisheries span across the globe. The wide scope of the EU’s interests is also dictated by the interconnected and environment-dependent nature of the fisheries. At the heart of the fisheries-related law of the sea developments since the 1970s is deepening the cooperation between fishing entities. The European Court of Justice (ECJ) also observed early-on in the Kramer case that “[t]he only way to ensure the conservation of the biological resources of the sea both effectively and equitably is through a system of rules binding on all the States concerned, including non-member countries”. Accordingly, the EU has developed and keeps developing its CFP in close contact with relevant international developments. This symposium will focus on the interactions between the CFP and the international developments in the area of fisheries. In particular, it will explore certain external challenges standing before the CFP as the panels below demonstrate. The attendance of the symposium as part of the audience will be on an invitation-only basis due to limited spaces. If you are interested in attending the symposium please write to us at europaresearchgroup@ed.ac.uk and tell us your institution and how many invitations you would request.